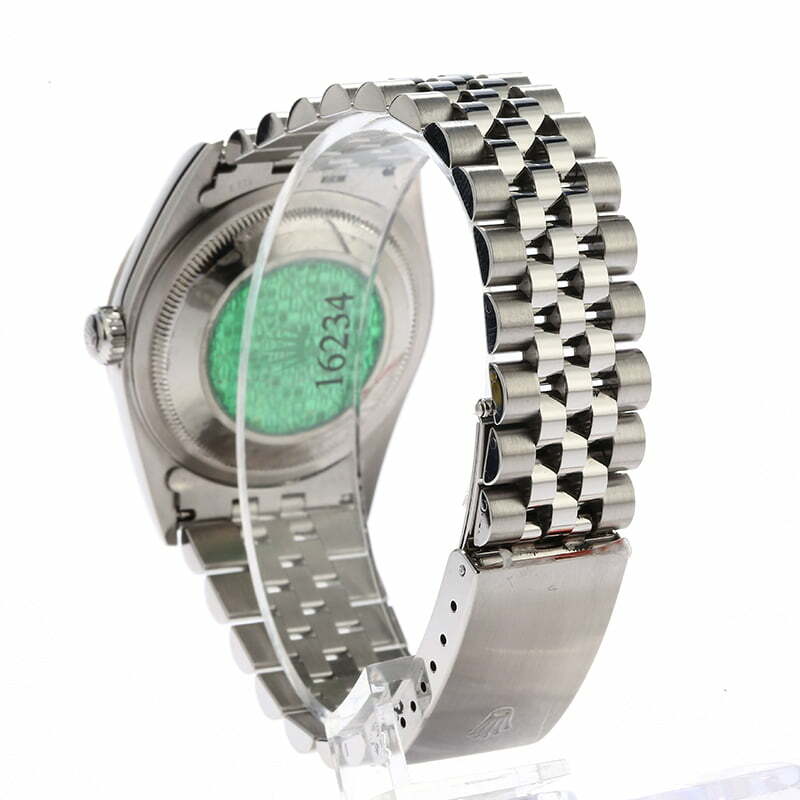 Hans Wilsdorf developed the Oyster Perpetual Datejust in 1945 introducing the world to the very first automatically changing date display. 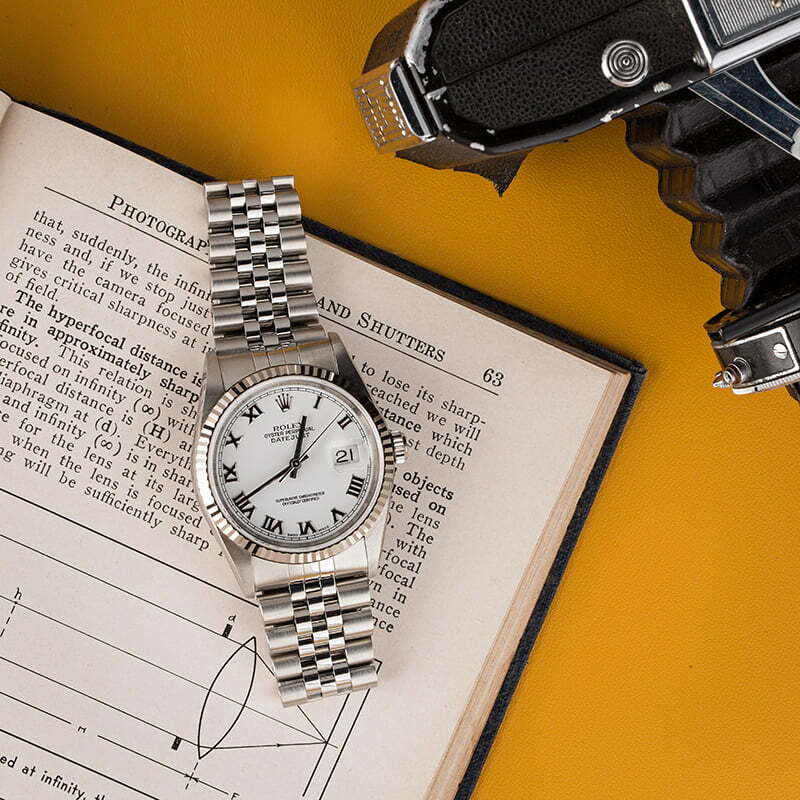 The first model, which debuted during Rolex's 40th anniversary Jubilee was presented on a five-piece link Jubilee bracelet, a feature that was named after the celebration itself and has since become a staple of the Rolex brand. 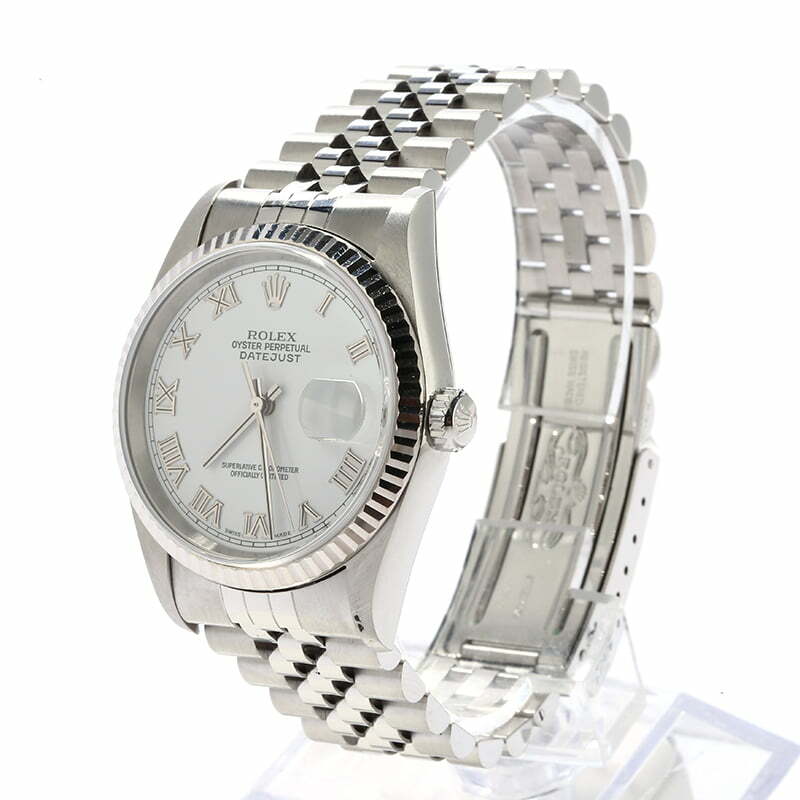 Many avid collectors seek the 5-digit line of Datejust watches for their sleek cases with nicely tapered lugs, older-style bracelets, and attractive, entry-level price tags. 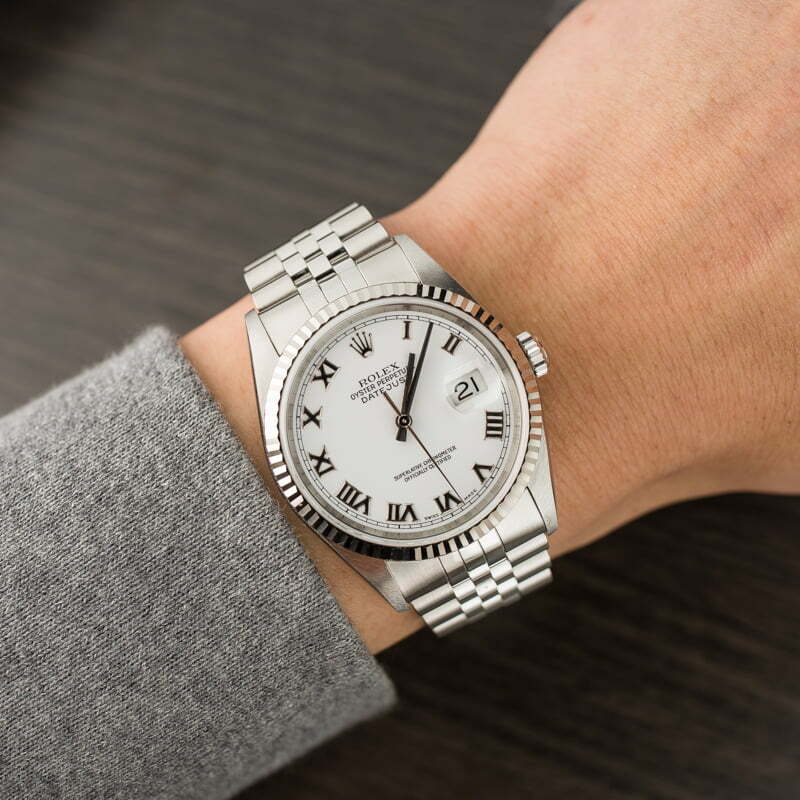 The preowned Rolex 16234 is the steel and white gold variant of the 5-digit Datejust that pairs the white metal finish with a handsome silver dial. 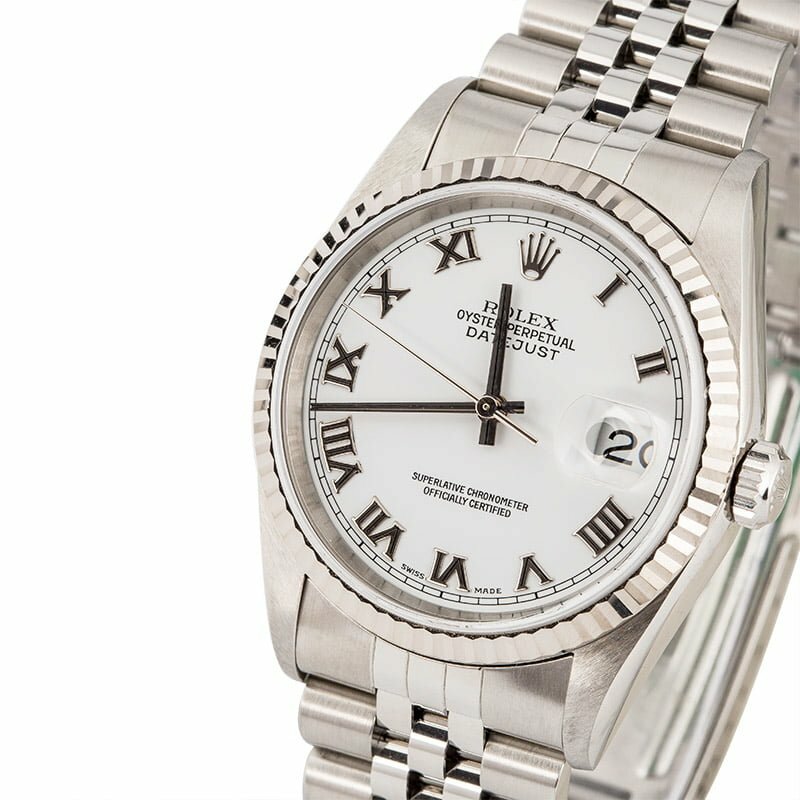 As a newer 5-digit Datejust that came to market in the early 2000s, this ref. 16234 remains in excellent condition and offers a highly reliable reading.